Our brand new Pucker Powder machine has finally arrived! 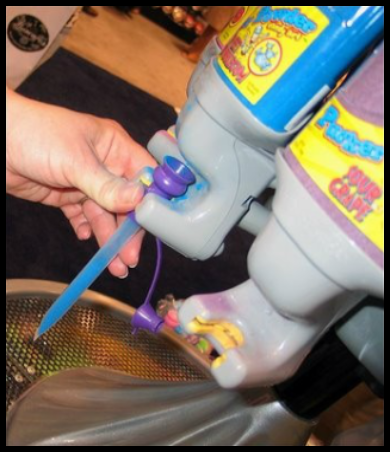 We are one of only a handful to have this brilliant sherbet machine in the country. This is currently the only one available to hire in Merseyside. So what is it? Who is it for? And how do you use it? 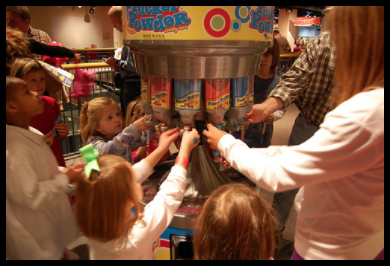 The Pucker Powder machine is a new innovative product and has been hugely popular over in the USA and Australia. Standing at 6.5feet high and 2ft wide, the machine will bring bundles of fun to your party or event. We reckon the adults will have just as much fun too! There are 18 different flavours available. We'll bring 12 along to your event. 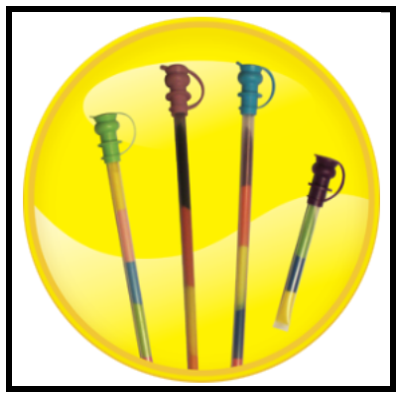 You will get a selection of various sized tubes. Each child has their own tube and has a go filling up the tube with different sherbet flavours. Who can make the best rainbow effect? Don't worry about the sugar content of this sherbet, it does not contain anywhere near as much as you may think. A 6” tube contains only 9.7 grams of sugar and carbs. When you compare this to standard size sweet bar and other sweet products this is typically 1/3 the amount of sugar and when comparing to many sports enhancement drinks it is typically 1/6 the amount of sugar. Contact us for a price if you want to hire this machine or package it up with the other catering products or rodeo bulls / bouncy castles. We think this product goes great with the pick n mix stand! We cover a much larger area with our pucker powder machines and any of the catering equipment or rodeo bulls. We cover almost all of the North West. Some places we deliver to are Liverpool, Manchester, Warrington, Chester, Wirral, Frodsham, Bolton, Bury, Stockport, Blackpool, Wigan, Blackburn, St Helens and Southport. Many of which carry no deliver charge at all. If your looking to hire this Pucker Powder machine with any of our other catering products or rodeo bulls / bouncy castles, please get in touch for a discounted package quote! Every single item on this website is owned by us, we do not outsource any work - which means we can offer some incredible discounts.